Prosecutors in San Diego and other counties obtained a $502,200 settlement in a consumer protection lawsuit alleging that Walgreens pharmacists throughout California frequently failed to comply with patient consultation rules. “Pharmacist consultations prevent drug errors and ensure that patients have the right prescription for their condition,” said San Diego County District Attorney Bonnie Dumanis, whose office worked with the Riverside and Alameda district attorney’s offices and the state Board of Pharmacy to secure the settlement. 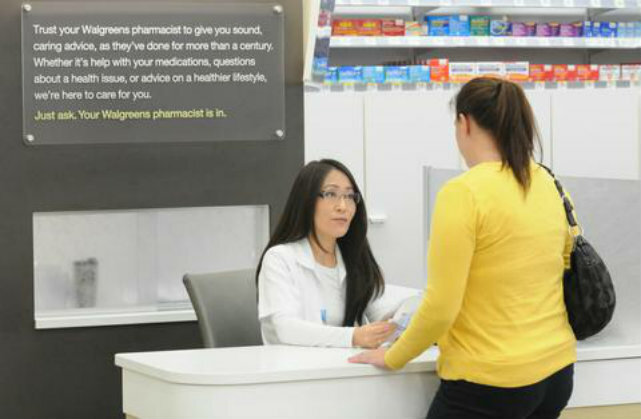 Walgreens, based in Deerfield, Ill., owns and operates 620 Walgreens pharmacies in California. In 2011, the California State Board of Pharmacy brought to the three district attorney’s offices the problem of health risks to customers when pharmacists fail to provide required consultations. Uninformed or improper use of prescription drugs harms an estimated 150,000 Californians each year and contributes to an estimated $1.7 billion in economic losses throughout the state, officials said. Regulations enforced by the state Board of Pharmacy requires that a pharmacist must provide a personal consultation to a patient receiving a prescription drug not previously dispensed to that patient; a prescription drug in a different dosage, form or strength; or on the patient’s request. Working with the Board of Pharmacy, the three D.A.’s offices conducted an undercover investigation of the consultation practices of a number of major pharmacies chains in California. Today’s enforcement action is the third of several such actions anticipated in the statewide effort, following a December 2013 injunction and $658,500 judgment against CVS pharmacies and a June 2014 injunction and $498,250 judgment against Rite Aid. Under the terms of Monday’s judgment, which Walgreens entered into without admitting liability, Walgreens will be subject to an injunction requiring full compliance with California standards for proper patient consultations, and must fully implement an internal compliance program.